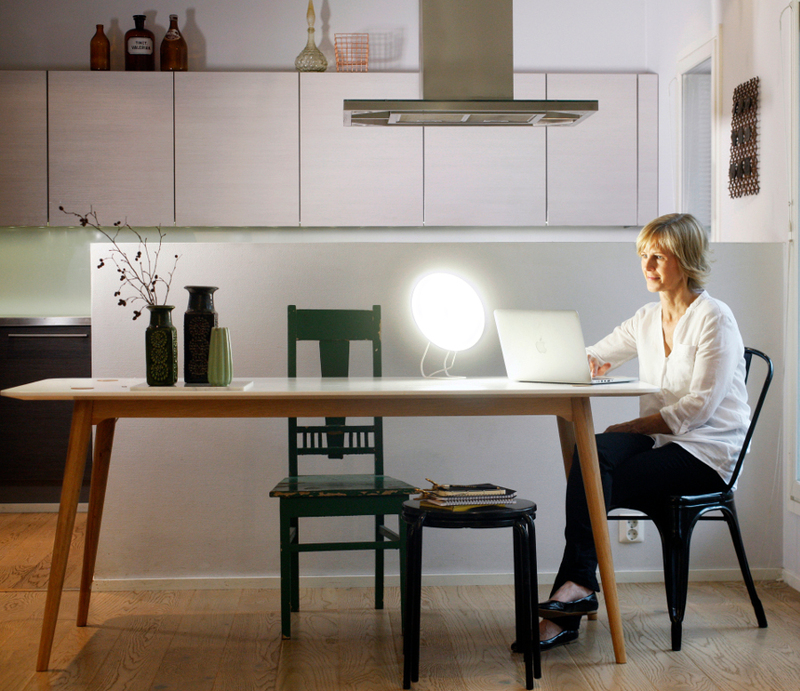 Boost your weary energy levels with the Rondo LED table lamp. Many people suffer from lethargy and depression during the dark winter months. This condition is known as SAD (Seasonal Affective Disorder). Based on research, a bright light boost will effectively treat the medical condition and also help the winter blues. Scientific research has shown that as the amount of natural light decreases, the body may physiologically respond to these "unfavourable living conditions" by adjusting certain hormone levels and biological activities. Just as sunlight naturally makes you feel good in the summer, getting extra bright light in winter when you're stuck indoors is proven to put you in a better mood, boost alertness and help you to feel more awake and productive. It is advisable to take the bright light session between 6.00 a.m. and 6.00 p.m. but it is most effective in the morning between 6 and 8. 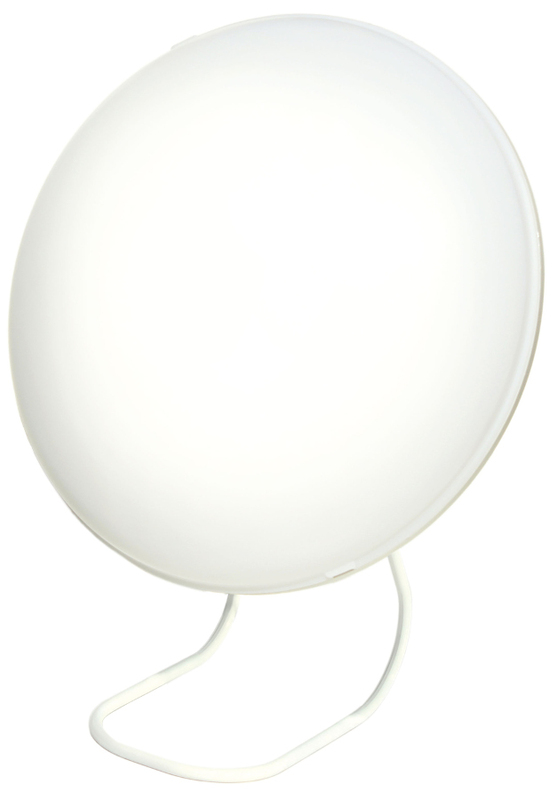 The Rondo LED is a modern and stylish bright light therapy table lamp made from a combination of steel and light permeable plastic. 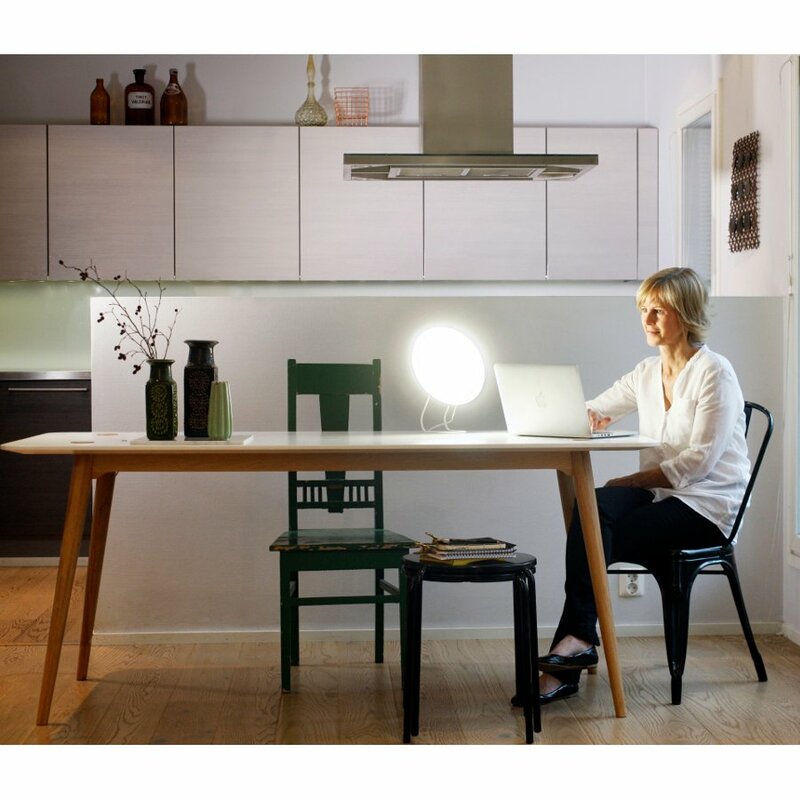 The compact size of the bright light makes it convenient to move around and easy to place in smaller spaces such as kitchen surfaces or office desks. The circular design gives off a cheery glow of summertime and sunlight. 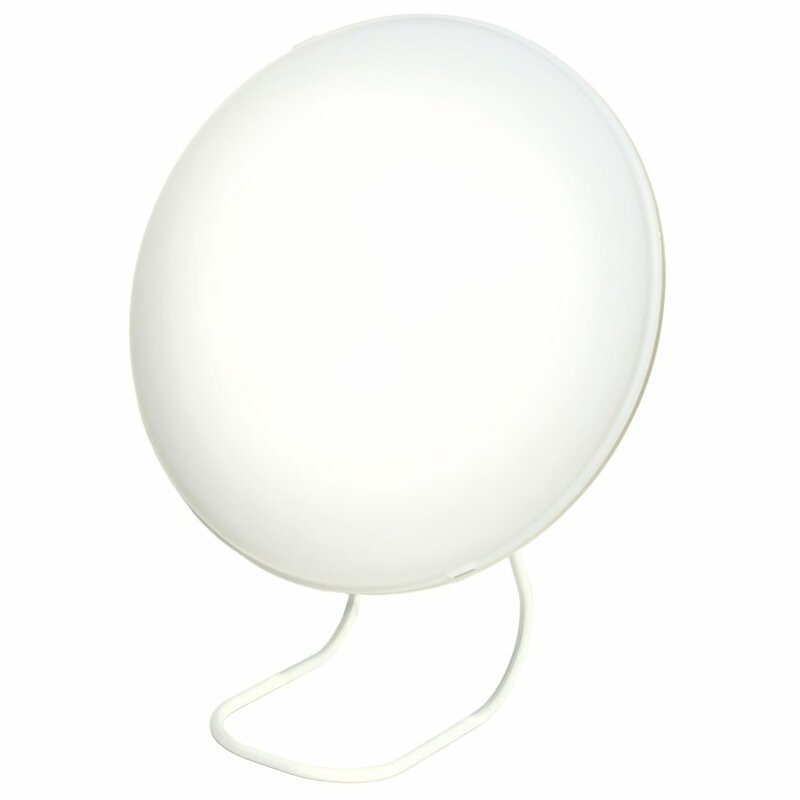 It is made from high-quality components, and it provides a powerful, bright light without straining your eyes. Size: 25 x 32 x 16 cm. Therapy distance: 38 cm (2500 lx), 25 cm (10 000 lx).Cord length: 3 m.
The Rondo LED Bright Light SAD Table Lamp product ethics are indicated below. To learn more about these product ethics and to see related products, follow the links below. 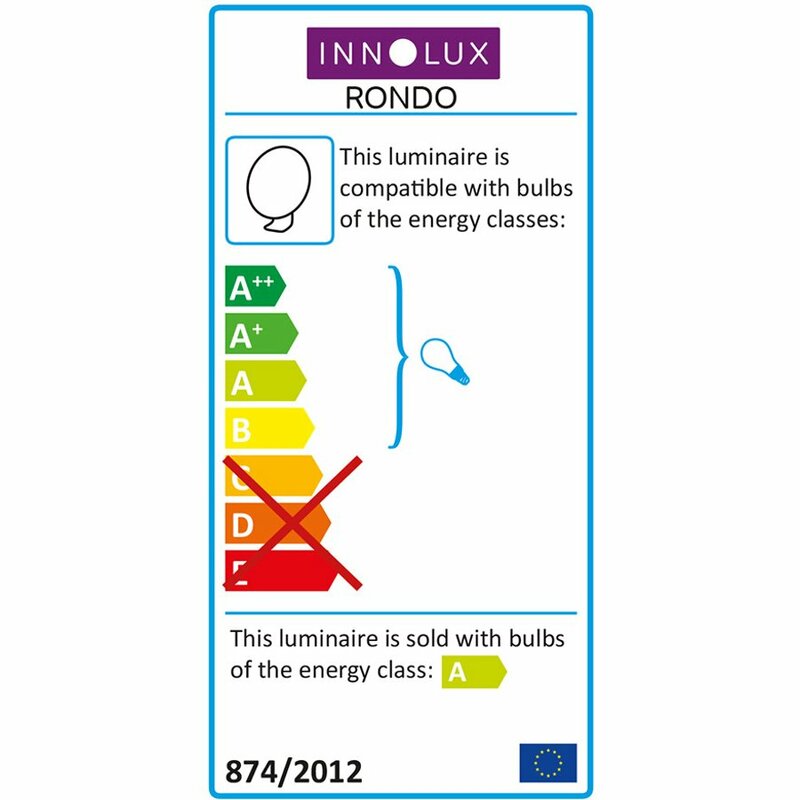 There are currently no questions to display about Rondo LED Bright Light SAD Table Lamp.